Grow faster with our easy to use business management software. 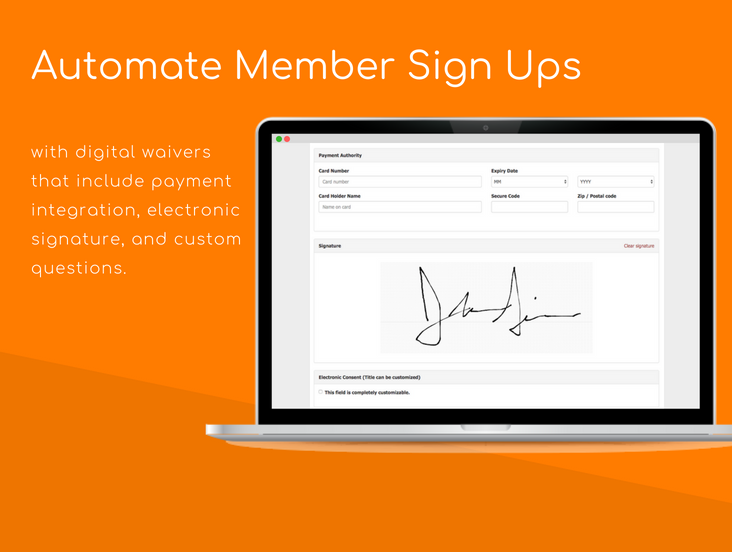 With Clubworx enrolling new members and empowering current members is simple & stress free. 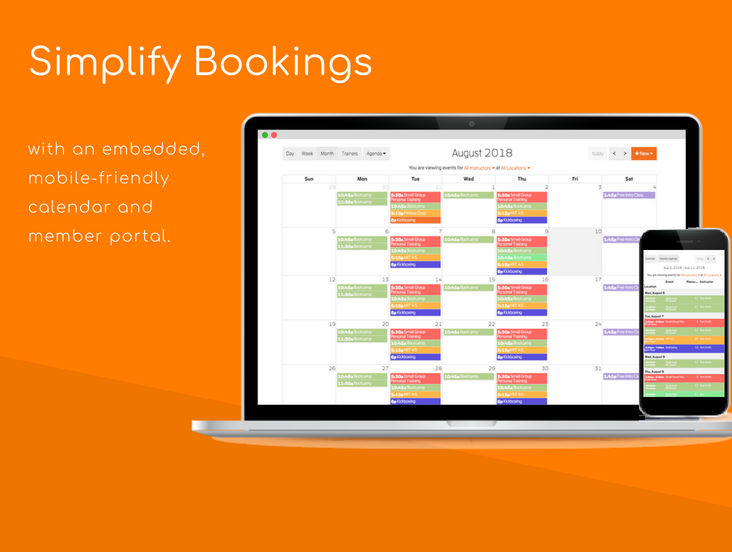 Manage bookings, track attendance, automated billing, POS, and paperless waivers and contracts. We have everything you need! Take Clubworx for a free test drive or book in for a demo. Get your 15 day free trial & let our success team show you the ropes! DISCOUNT: Activate in first 7 days & get 50% off your first month! Pros: I have been searching YEARS for a software that would work with my studio, the main issue in the past I had was lack of flexibility, I don't require my clients to schedule but I do restrict the amount of times they can train within a month. Finding a software that my trainers could understand, had a kiosk mode and allowed for "drop ins" was near impossible until clubworx. Cons: Clubworx is a newer software and there have been some workarounds regarding a few things, to me because we run such a unique system I understand that it is not tailor made for us. I think the biggest thing for me is how payments are run, instead of being run instantly they are batch run at the end of day so I do not know if a card is declined until the following morning. I wish there was an automatic transaction that could be done for their memberships and not just through the POS system. Aside from that most of the questions and edits I have had have been addressed or are being addressed and the amount of time it has saved me in regards to paperwork (I've gone almost completely to electronic waivers thanks to clubworx) and client retention with their check in system I am willing to overlook the payment style. Overall: customer service are very receptive and patient, they don't hound you like other software companies but are there when you need them to be. The software is completely cloud-based which I love because I can look from my phone or home pc to make sure things are going well or respond to emails and phone calls. Their email system has cut a lot of my time in half and their texting system is very professional. Overall I am looking forward to keeping this software for a long time and am very glad to have found it, it is enough for my needs and simple enough for my employees to understand. Thank you Ian and the entire Clubworx team! Be sure to keep sending through any feedback as this helps us understand exactly what you need in a system. Been searching for years...ClubWorx is "The One"
Pros: We have owned several martial arts schools over the last 15 years. We have been researching gym management systems for the past 8 years or so. We even pulled the trigger and tried one a few years ago and it was SO clunky and inefficient, that after just 1 month we were actually able to get ourselves out of a 12-month contract because they just weren't providing what they promised. ClubWorx offers EVERY feature we were looking for, and our ClubWorx representative has gone above and beyond helping us get everything programmed and set-up properly. The software is fantastic and the customer service is second-to-none. Everything is going as planned and promised and we couldn't be happier! Overall: Fantastic customer service. Our ClubWorx representative has gone above-and-beyond to help us to be able to discover and use many of the amazing features that the ClubWorx program offers. He has even gone so far as to communicate with our I.T. professional so that they have worked together to make things more streamlined for us! We feel very honored and blessed to have found such a great organization and individual reps. Thank you for the kinds words, it has been a pleasure working with you. We are happy to hear that Clubworx is helping your business and that you are having a fantastic experience with our customer support team. We are looking forward to working with you into the future. To your success! Pros: Easy to use and can do the bar code check in once we get everything set up. This will allow us to follow up more quickly with those that miss a few classes before it becomes an issue. Cons: It doesn't have an auto email system where an email can be delivered automatically when a student misses classes which other competitors did but they also charged about $100/mo. more. We don't have so many students that I can't pull a report and send emails to those not coming every week so me sending 2-3 emails a week for a $100 savings works for me. Overall: I have been looking over several different options for the martial arts school and this one seems to do what I need it to do without lots of fancy stuff that I would probably never use. The set up process is easy to do and they will transfer the info if you have it on a spread sheet so that would save lots of time. The Customer service is great. Emily is always there to answer questions during business hours and gets back to you quickly in the form on email, IM or even a phone call. 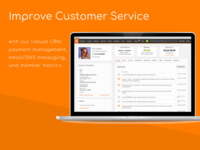 I had read about the customer service and that is a big factor that made me choose ClubWorx. Recommendations to other buyers: I haven't gotten in to it that much yet as I just started. So far it is great, easy to use and gives lots of data as to how we are doing. Every day I find something more that it does. Great surprise. Thank you! We are happy to have you onboard. Your feedback is so important as you use your new Clubworx account. We are always listening and feeding your requirements and suggestions back into our product improvements that you'll see over time. Also, we have great news for you. We are just a few weeks away from releasing more automation around emails and SMS so watch this space! Overall: Overall, I have had a great experience with ClubWorx, as they have supported our business from earlier days up until present, and we have grown together. Whenever you have a problem, they are more than happy to help with 1-1 support and doing video calls to assist with any issues we've had, or help us use the software to its best potential. I want to especially thank support team, who have been of great service to us since we started with ClubWorx, thank you! Thank you for your feedback. We are super happy to hear how you are enjoying using Clubworx and getting lots of value from the system. Your success and growth is so important to us. Stay tuned for the Gocardless integration! We look forward to continuing to support you into the future! Pros: It's intuitive and simple. 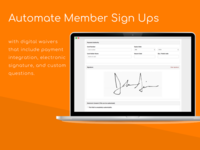 Integrates with Stripe and enables both the waivers and payments to be done in the one action. Cons: No drag and drop feature on the calendar. This would make it even easier to schedule and move sessions especially flexibility is required by our clients. Overall: Hands down the most intuitive and simplest software to use. We tried out so many different providers including Mind Body which the entire industry seems to use yet were told by MB that we had to move across our payment system which is simply a big no-no for us. Clubworx provided everything MB had and more. And were so very responsive to our requirements when we had special requests, even after-hours support. Thank you for your review! We are thrilled to hear that you are enoying using Clubworx and getting so much value out of it in your business. We are totally committed to continuing to deliver high level of customer service and system performance as we move forward with you and your team. Pros: I like the ability to track a students progress to help improve student retention. The use of waivers has been handy in reducing paper forms and having to file them correctly. Also the Integration with Ezidebit has made receiving payments a lot easier for me. Being able to manage my gym from anywhere on my phone has been brilliant. Cons: It is a bit hard to get you head around but the staff and always helpful and responsive. I am a martial artist not a Tech guy so their patience is muchly appreciated. There are so many features so customizing it to suit your gym is important. I'm sure there are many features I am not fully utilizing at the moment. Overall: After only using the Clubworx software for 3 months I am happy with the results so far. Being able to quickly and easily track and contact members has made the gym management smoother allowing me to spend more time on the mats and not behind the desk. The use of electronic waivers has reduced the amount of paper at the gym. We really appreciate the feedback and love you are enjoying using Clubworx and getting results. Let's keep working together to make sure you are fully utilising the system! Looking forward to continuing to support you and your business into the future. Pros: Very easy to use and always works as I want it to. Also, it's forever improving and this is crucial. Cons: Having to enter the roll manually all the time. Overall: It's made running my school easy, which allows me the time and opportunities to do different things with my time. Thanks Clubworx! 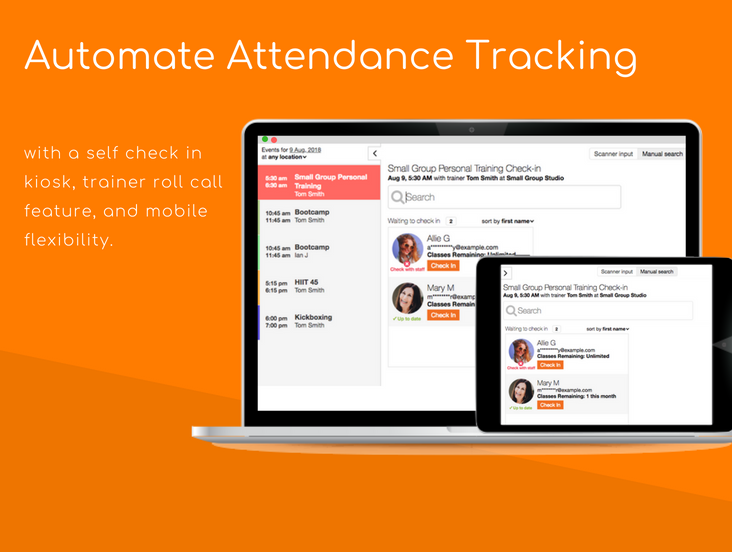 We are thrilled that you are enjoying using Clubworx and that you are seeing real results for your school. We look forward to supporting you for many years to come! We'll be in touch to chat about using Roll Call to see if there is someway we can make this easier too! clubworx is fantastic for keeping tabs on members although the financial aspect is lacking. Pros: I love having all of my clients and members in one easy filing system that monitors their attendance and allows for me to contact them all at once. Cons: The financial aspect of the program leaves a lot to be desired. If I want to check how much money I will receive in my next payment or how much I should have received in my last I have go through this annoying process where I choose the dates and add up the payments over two pages. Very frustrating. I mentioned this prior to now and received a phone call from the service desk, the lady was lovely but really did not have any solutions. Overall: I am able to monitor client participation much more effectively. This has allowed me to focus on those who need help most and grow participation levels! Thank you for taking the time to submit your review. I just wanted to let you know we do take this feedback seriously and will review how we can better inform you about your payment deposits together with our payment partners over the upcoming months. That's right - Clubworx is currently working on releasing our latest Stripe integration with waivers, and plan to have this available by the end of the year for all of our customers! Thank you so much for your kind words. We love receiving honest reviews! We're glad you are enjoying Clubworx. We've got some great things in our Development pipeline, stay tuned! Den, thanks for the great feedback. It is great to have you join us and we are so happy to hear that you are enjoying the software and your customer support. Remember to keep sending feedback as you continue to use Clubworx, this is critical for us to continue to build better features that support your business in the future. I am liking the program more as I get to know how to use it. The customer support is awesome! Pros: I like how my questions are answered in detail and the fast response I get. The program is set up very user friendly. Cons: I don't like how the reports are set up to use. I find it a bit confusing on how to make reports the way I want them, but i'm sure as I use them more I will get used to them. Overall: Everything I need in one program. 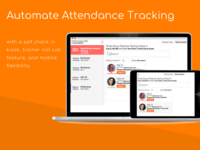 Attendance, fees, emails and more together in one place. Thanks for the review! We're glad our support team is helpful and you're finding our user interface easy to use. I'm sorry that you've been having difficulties with our reports feature. If there's a specific report you'd like to create, feel free to get in touch with our support team and we can help set that up for you. Overall: We are a soccer club utilize the tool to manage payments, send out communications for practices and report on accounts. Clubworx is the best IT business decision I've made. Pros: Support. Ease of use. Cons: Haven't found any yet after 6 weeks of use. Overall: Easy to use, functional and keeps my business open 24/7. I'm very impressed with the back up and support I've received. Every question answered simply, accurately and quickly. I highly recommend Clubworx for other yoga studios. Thank you for your review and we are SO happy to hear that you are enjoying Clubworx! There are lots of new features and enhancements that are scheduled for the next few months, so we hope that you will get even more value for your business in the future. And remember your feedback is important, so do reach out if you have any questions or suggestions as you continue to use Clubworx. Pros: Makes enrolling and managing students much easier. Customer service is great always there to answer any questions needed. 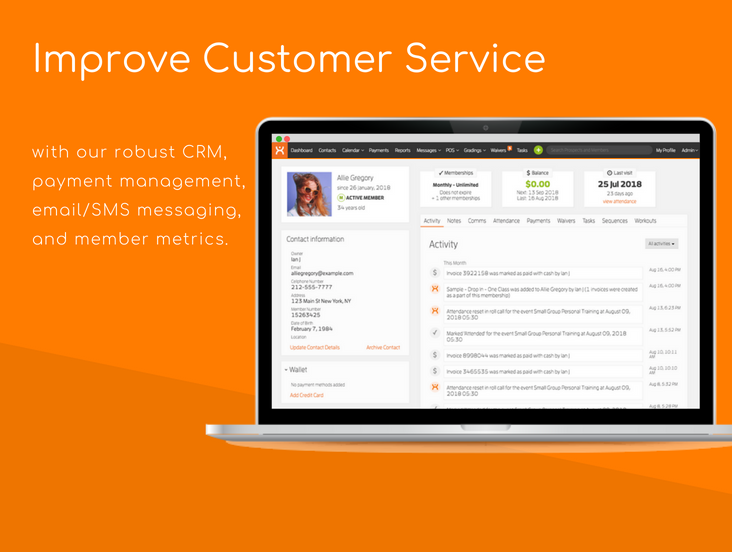 Overall: CRM - to help follow up with prospects. Hi Virginia, thanks so much for your feedback. We're really happy to hear you are enjoying using Clubworx and we look forward to supporting your business in the future. Very easy to use and flexible to suit your own business! Overall: We reviewed many software solutions for our Karate business and Clubworx, although it doesn't contain all the 'bells and whistles' of some, was the easiest to use and most flexible. Support is fantastic, replying very quickly, even out of normal business hours. Thanks for your review! Great to hear you are enjoying using Clubworx. We've still got lot's of great features to come too. We're also currently updating our online support notes and hope to have this out soon for our customers. The software is easy to use. The value is exceptional. Comments: Pro's: Right from the get go everything seems to flow with setup. Laid out very orderly and simply. Everything you need, not much you don't. Perfect for someone wanting to direct new clients too. Looks professional and best part is is it's web based. Customer service, ESPECIALLY Emily and Dave, are kind and helpful... They respond quickly, usually within minutes, sometimes hours, but what can you expect for forty a month? Overall, well worth the money. Cons: There are some minor errors that still haven't been resolved. Like the menu button at the top right corner of the website. It should just be removed. Also not all of the main background picture shows when on the website via mobile phone, but I don't think it's meant to be used exclusively on a mobile device, but nbd anyway. O, and members cannot pay for services online on their own. Pros: What I like most is I have their executive who is always there when I need him to assist with any questions or issues that may come up. He's always on email and will help me at the drop of a hat. Cons: The software from and Admin and End User stand-point is difficult to use. Reports are not easily created for the admin and booking classes are not easy either. There are features that I'd like to see added, image on the member profile, a check-in system that works, but all in all it is fair. Overall: I love their executive, if not for him and his awesome customer service, I'm not sure I could muddle through this. Hi Tameika, thank you for taking the time to write this review of Clubworx. I am sorry your experience has been less than amazing. We have sent you an email addressing each of the challenges you mentioned and look forward to working with you to improve your experience. We value and appreciate your honest feedback. Easy to setup and use software that give more expensive products a run for their money! Comments: From signing up for the trial to actually going live with our data and new DDR provider in under a week! All thanks to refreshingly helpful staff who actually know their product and how their customers will use it and an intuitive, easy to use interface. Very much like that their upgrade and improvement cycle is proactive and they listen and respond to customer request for fixes and features - discovered a small bug in the calendar and they fixed it overnight! The few niggles I have with the functionality will no doubt be fixed up in upcoming releases - well done guys! Thank Sifu Paul - great to hear you're enjoying your experience so far. We look forward to working with you as we continue to improve Clubworx in the future as well. Comments: I have been teaching martial arts for 18 years. I have never come across something so simple. The software is appropriate for size and function. There are no bells and whistles that you don't use! There is no wasted design and is perfect for our martial arts school. I wish we had this software back in the "Martial Soft" days. Customer service is incredible and friendly. Thank you for sharing your experience with Clubworx. We are delighted to have you as one of our valuable customers. It's great to hear you are enjoying using Clubworx and am excited to let you know that we will be continuing to expand our feature set thoughtfully into the future, to continue making your experience better and better. I have enjoyed using clubworx and find it extremely useful. There are, however, a few kinks. Pros: - I love being able to see the class check in dates for my clients, I also enjoy having all of the information on my clients, finances and other reports in one easy to access place. Cons: - The finance reports come in only a monthly format. Fitness incomes can change weekly so sometimes this can be frustrating. - The support staff are fantastic and helpful, whenever I have a query they go above and beyond. The help documents, however, are too basic and barely ever seem to really answer any questions in depth. Thanks so much for your review. We are so happy to hear you are enjoying Clubworx. We also wanted to let you know that we can help you view your revenue for a weekly or fortnightly timeframe too if that helps. We'll send through an email with instructions on this! We at Relentless Strength and Performance have been extremely satisfied thus far. Comments: Clubworx is extremely simple and easy to use making it perfect for our business. The only con we've experienced thus far (which is also a pro) is that there are constant updates to the software that can become confusing at some points. The customer service, however, has been top notch in dealing with these issues as well as others as we familiarize ourselves with the system. We really appreciate the review! We take your point about our updates. We are working on balancing the need to give you access to modern tools to help grow your business and minimising the impact these updates have on your business! Clubworx Has Made our Life Easier! Cons: I honestly do not have anything that I like least about the software. It is meeting our gym needs. Overall: Client retention is much better with this program. I love getting emails that let me know that a member is expiring. It allows me to reach out to them via sms, email or phone call. Cons: It takes time to load and there is no function to choose the date/s in the calendar - you have to go through each week; It would be easier if we can choose a specific date that we are looking for. Comments: Emily is great, just describe to her what you want set up and she will take care of the rest. We use a punch pass type system here rather than memberships and that was set up for us. Everything we have raised so far has been taken care of by Clubworx. Probably the only con is they don't have an app for our clients. Thanks Amanda. We really appreciate the feedback. While we don't offer a member app at the moment, our system is optimised for mobile and the majority of our clients simply have their clients save their online calendar to their mobile home screen. It works a treat. Comments: I'm moving from other software because they were charging too much, and the software wasn't offering the much i was paying . I'm very impressive with the attention they give. The software is really easy to use and add a member. What was a big deal for me after some bad experiences with the trial on others software. Congratulations for a great job you are doing. Hi Juliana - really appreciate the feedback. We are glad to hear that you are enjoying your experience with us and we know you'll love using your streamlined, automatic payments through Clubworx as well! Comments: The support team has been great, but still a few features to work out. Website is good, but needs to be a little more flexible. The membership plan needs to be able to have different layers. For example, I have 3 branches, it would be good if the first layer was just those branches like as a button, then when pressed goes to the plans for that branch. In this way I can have different prices in each branch with it being obvious. I haven't yet tested all things, but will gladly review them as I go. Easy to use with great customer service. Comments: I've just moved from the free trial to the bronze account. Everything has been smooth and I've been really happy with how quick Dave and Emma get back to me with questions about the system. Comments: I work in a studio and also run outdoor sessions. Club worx has been a great program for my business. It is so simple to start using. Emily is fantastic and helpful. I love how customisable the system is and the reporting is great. I'm going to start building my website in club worx soon. I would like the system to link with xero. Hopefully that can help soon. Pros: Easy to use, very simple to learn. Customer service is excellent. Cons: Nothing log is easy and it is very user friendly. Comments: Started using Clubworx only a short time ago and while the functionality is limited, compared to my previous program, the level of user support and willingness to listen to our ideas is off the scale. 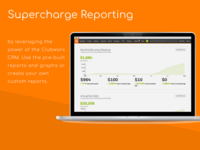 I would happily recommend ClubWorx to anyone who's looking for a club management system. We are always keen to hear any ideas and look forward to working with you and our customers to make Clubworx even better! Comments: Really great customer service, second to none. Always available via chat which is good. Although, I don't like to get the pop ups with questions from ya folks. Lol. Sometimes ok, but not as often as you do. Recommend that you let me reach out to you. Thanks Justin! Great to hear that you are enjoying your experience with us. Thanks for the feedback on the messaging - we'll be taking that on board. Comments: Clubworx is a very intuitive software to use, very easy to setup and learn, and their customer service is second to none! Thanks Chris! So glad to hear you're having a positive experience with Clubworx. And remember there are lots of new features to be released this year too. We look forward to continuing to support you as you grow your business. Comments: I am an 'analytics' type of person; I like to SEE (at a glance) how my Club is performing. Comments: The help and support we have received from the staff at Clubworx has been the most positive in my last 10 years of working with software providers. Thanks for taking the time to review Clubworx Laura. We love supporting the Phoenix team & look forward to being your preferred service provider for the next 10 years! Comments: Im very happy with Clubworx its super easy and has everything we need. Prices are reasonable and the customer service is amazing, they are always there for us! They answer quickly and do everything to help. definately staying with them! Thank you - great to hear you are enjoying your experience with us! Overall: Really great, with a lot of features. Great value for money. Keeps all the passes organised, plus has features like members portal and waivers. Thanks Lana! Love that you are enjoying the system and look forward to working with you! Comments: Brilliant program and very easy to use and get your business moving in the right way. 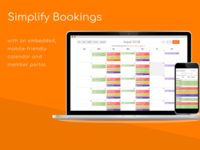 If you are looking for a system for scheduling and accounts for you fitness facility you've got to try ClubWorx. Comments: I am happy with the software and the functions. It is definitely intuitive. Customer service, nice people and very helpful, but sometimes a long delay for a chat session.